July 2013 – Trafficking of children and the issue of defining trafficking topped the agenda today at a first of its kind meeting between an independent United Nations human rights expert and a group of European practitioners working to end this form of modern-day slavery. The UN Special Rapporteur and the 15-member GRETA experts met to discuss joint actions and to enhance information-sharing to fight the trafficking. Nearly 21 million people are victims of forced labour and human trafficking, including almost a million in the European Union member States, according to the UN International Labour Organization (ILO). Today’s meeting is part of a coordinated approach to combat trafficking with and among regional and sub-regional mechanisms, as identified in Ms. Ngozi Ezeilo’s 2010 report presented to the UN Human Rights Council. That report was prepared with inputs from GRETA, which monitors the implementation of the Council of Europe Convention on Action against Trafficking in Human Beings. 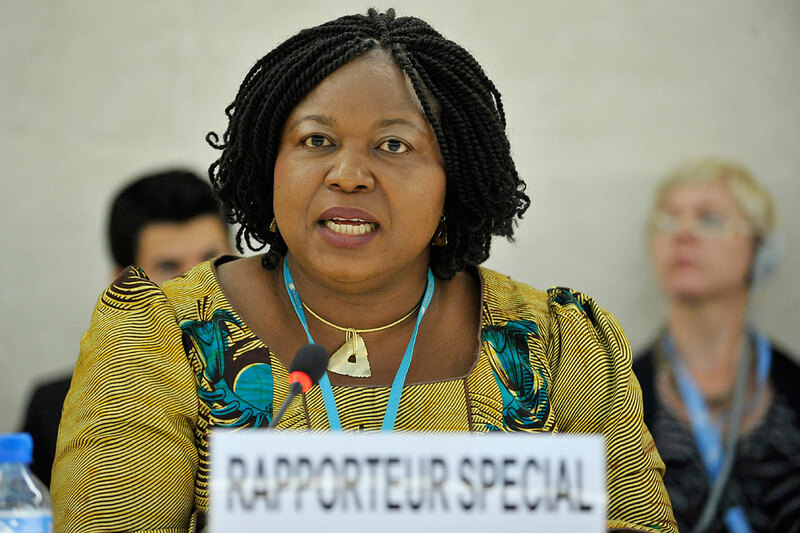 Human trafficking is fuelled by demand for sexual exploitation, cheap labour, human organs, illegal adoption and forced marriages, Ms. Ngozi Ezeilo said in a recently released report. She urged Governments worldwide to broaden their perception of the problem, often focused exclusively on demand for commercial sexual exploitation, particularly of women and girls, and neglected other forms of demand, such as demand for exploitative labour and organ sales. The UN has a Global Plan of Action to Combat Trafficking in Persons. Adopted in 2010, the Plan calls for integrating the fight against human trafficking into the UN’s broader programmes to boost development and strengthen security around the world. It focuses on four pillars – preventing trafficking, prosecuting offenders, protecting victims and forming partnerships to fight trafficking. The Plan also set up the UN Voluntary Trust Fund for Victims of Trafficking in Persons, Especially Women and Children.